Sorry, we couldn't find any Volvo Cars of Edison listings that matched your search criteria. Test drive and apparently a problem with transmission. Checked in to ask if repaired. Never got reply. The dealer is about an hour drive from my location. The first time I was emailed, they requested I confirm as they had set aside time to work with me. I was on my way and called to confirm. I was told the car wasn't there. It had been loaned out. The second time I was told to come on Monday evening or Tuesday. I made the drive to Edison on Tuesday only to find out that the car wasn't there. It was still on loan. My time is valuable and I won't be doing business with this dealer. I have arranged to purchase an s90 from another dealer. Angel was wonderful to work with! 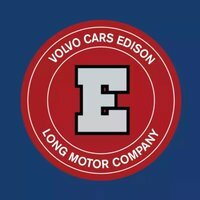 I recommend Volvo Edison, especially Angel Robles. Ask for him. Great service. Dealer kept in contact with me to check my interest in the vehicle I inquired about. They also followed up with additional options for me to consider. The car we wanted sold 2 days before our appointment. We went anyway to look at what they had. We did purchase another vehicle similar to the one we saw on Car Gurus. The dealership did a very good job for us. Their communication skills are beyond excellent. They kept us informed every step of the way, including follow up after the purchase. We would highly recommend this dealership. They told me the vehicle was still available, but when I got there it was nit available. They could have contacted me before I came in. Instead they tried to sell me something that was 3 times as much as the car I was originally interested in. .
Called Edison Volvo to make an appointment to see a car they advertised. A few minutes before the agreed upon time they called to tell the was unavailable because it just went into body shop. They said they would call as soon as it was done. I asked why it was in body shop. They didn't know but would let me know. They failed to call and let me know about body shop & failed to call me back to see the car. Very unprofessional. Erica was both friendly and professional. I haven't picked up the car yet but the dealer was very responsive to all my email questions and everyone that worked in the dealership was very respectful and helpful. Courteous, seemed fair in their pricing, worked hard to find me what I was looking for. Continually kept in touch with me about the car I inquired about. Very attentive, not in an annoying way. Nice people. Excellent customer service. Sales team responded quickly to my inquiries and were helpful in their information and suggestions. They followed up with emails offering their services even after I declined the car, but did not attempt to pressure me into anything. Very honest and persoable sales staff! Finally, a dealer you can trust! My sales person was friendly and not pushy at all. The car was delivered fully detailed with a full tank of gas. A very friendly dealership. sales people did know much and had conflicting answers. Avoid this place. The people who represents this Volvo dealer has an excellent customer service that we were looking for in purchasing use volvo cars. We ended up buying one from them and will likely come back in our future volvo car purchase. They are highly recommended especially Mr. Colby and Mr. John who directly involved with our purchase. See you soon!